The new G-Wagen is an extravagant 700-horsepower monster with portal axles and plenty of other offroad goodies. 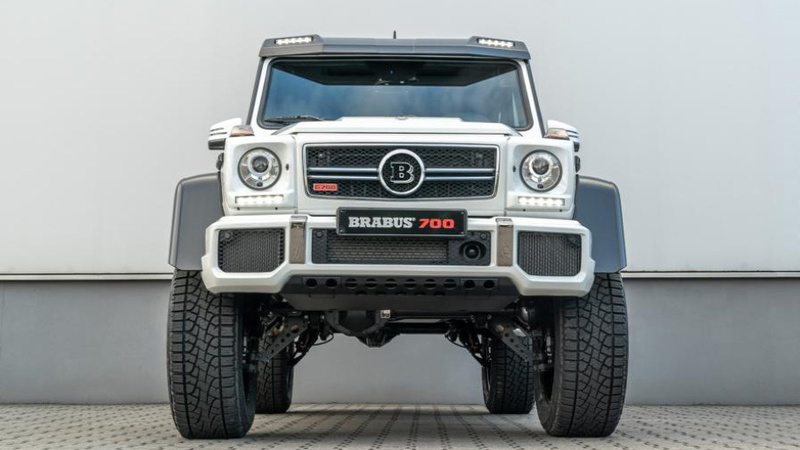 Famed Mercedes-Benz tuner Brabus has introduced a new G-Wagen to the market, known as the 700 4x4 Squared, and it has 700-horsepower plus tons of indulgences for luxo-barge buyers. Powering the mad G-Wagen is the engine sourced from AMG's G63, which is a 5.5-liter twin-turbo V-8. 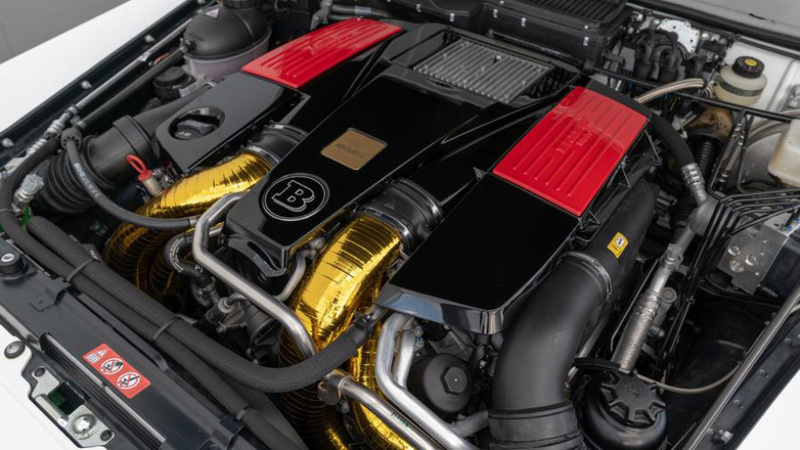 The 700-hp powertrain rating is where they get the name from—it also makes 708 pounds per foot of torque. 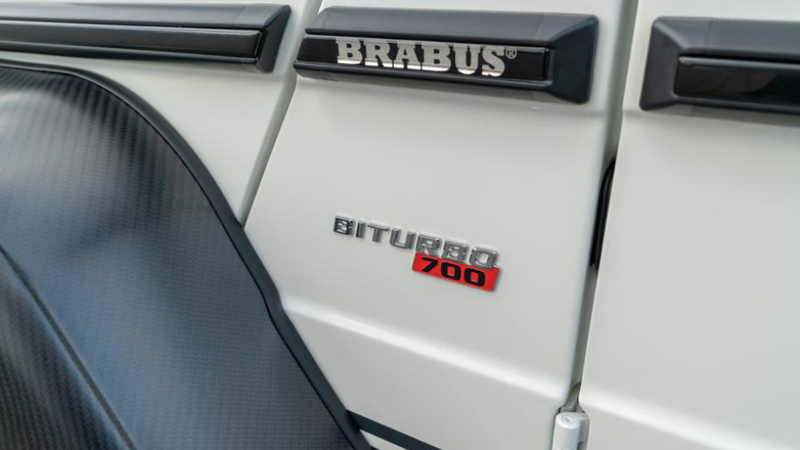 Even though it’s quite large in stature, the new Brabus 700 4x4 is pretty swift, with the ability to reach 62 miles per hour in only five seconds. The SUV is limited at 130 mph, which sounds terrifying in such a massive automobile. Even though the Brabus is pretty impressive, it’s not a completely new design—it’s more of a patchwork of prior G-Wagen models. As mentioned the G63 lends its powertrain to the 700, and otherwise, the portal axles come from the G500 4x4 Squared to give it loads of ground clearance and unexpected articulation. The struts are individually adjustable so the driver can control the ride height, and it’ll go up to almost two feet of clearance at each corner. 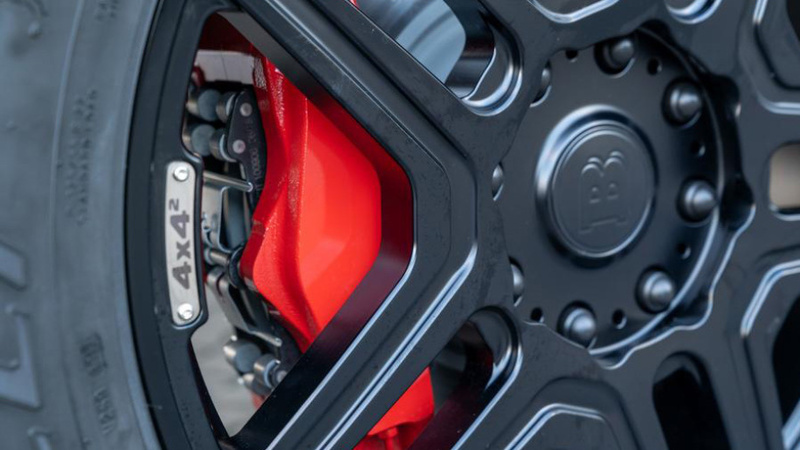 Skid plates are added throughout to protect the underbelly during extreme off-roading. Finally, carbon fiber fender flares surround the 22-inch wheels it rides on, which are wrapped in meaty Pirelli Scorpion ATR off-road rubbers. Pricing is just under $238,000; that is if you can find one of the extremely limited production models to buy since there will only be 10 made in total. The model has been in production since 1978.